In honor of being on break and able to read for fun again, I thought it would be nice to mix it up from the food/workouts today and share some of my recent favorite books! The true story of two deep-sea scuba divers who found a mysterious, previously undiscovered wreck off the coast of New Jersey in 1991. 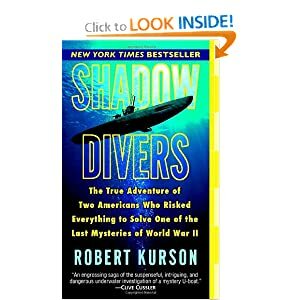 The book follows the two divers’ extraordinary and dangerous seven year journey to uncover the history behind the ship, which was tucked away at the perilous depth of 230 feet. An adventure junky myself (I got scuba dive certified on the Great Barrier Reef while I was studying abroad in Australia) with a love for the unknown, I could not put this book down! I was obsessed with this book, which is fictitiously written about Anne Boleyn, one of King Henry VIII’s many wives, and the rivalries between her, her sister, and the entire English court. Historical fiction at it’s finest. I listened to this on CD during a year when I had a long-ish commute to work, and let’s just say I never dreaded my commute anymore. Set in 12th century England, centered on the building of a cathedral and the many hundreds of lives it affected, this is a book you will never want to end. Lots of drama, seductions, betrayals, and more. This book was so popular he wrote a sequel, World Without End, which is also amazing! 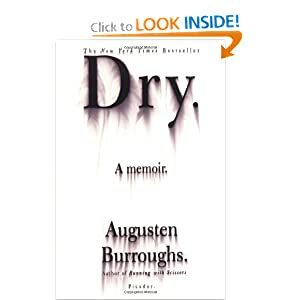 Another amazing memoir, this one chronicling Augusten Burroughs’ attempts to stay sober. There are a ton of memoirs out about this, but this one stands out in Augusten’s token brilliant and hilarious writing style. 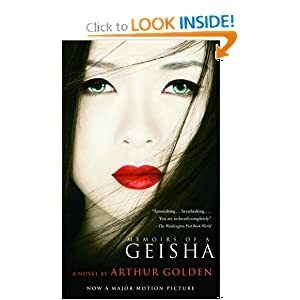 I absolutely loved this book because it was so fascinating to read about the life of a Geisha, “who must master the arts of music, dance, clever conversation, and cunning seduction of wealthy patrons.” Extremely well written and one of those books you’ll find yourself thinking about even when you’re not reading it. Can you tell I love memoirs? This is another of my absolute favorites. Heartbreaking yet totally engrossing. 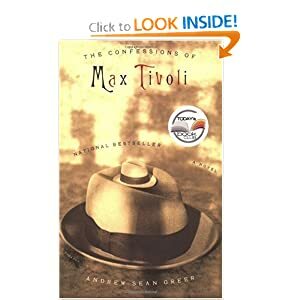 A fascinating, original book that will leave you wanting more when it ends — the movie didn’t do it justice. I also love Hosseini’s debut novel, The Kite Runner. 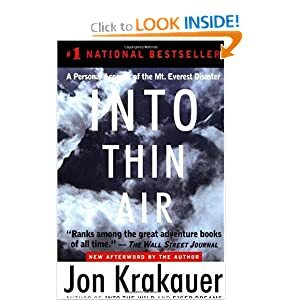 Jon Krakauer is a brilliant writer — I also absolutely love his books Into the Wild (recently made into a movie) and Under the Banner of Heaven. 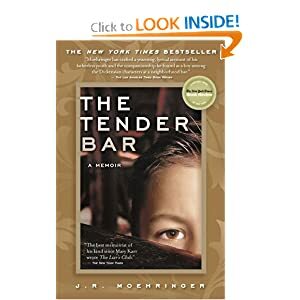 What are your recent favorite “can’t put them down” books? I could use some new ideas! Next article: Help Me Pick a fANNEtastic Logo! The Help is excellent! Mennonite in a Little Black Dress was also a great read. Great picks! I am always looking for new books to read. Thanks for this post! I loved A Thousand Splendid Suns and Glass Castle too! My most recent favorite is Born to Run. Couldn’t put it down! I’ll have to check out some of your other picks. Ooo I loved Born to Run, too! The Stephanie Plum series by Janet Evanovich is a favorite of mine. I blame my last all-nighter on The Hunger Games series. Thank goodness I started Mockingjay early enough in the day that I was done (and emotionally drained) by bedtime. So, yeah, totally second that recommendation. Now that I can read for fun as well I was looking for someone to post a list of books!! Dome of those sound really good! I admit I don’t read for fun that much(or actually at all). When I get free time, I’ll usually read a food magazine. The book that I’m currently reading is about the philosophy and theories behind event in Doctor Who. Yes, I am that big a nerd. If you don’t mind something a little creepy, Justin Cronin’s “The Passage” is really good. And if you aren’t daunted by really fat books, the Outlander series is amazing…although I had to take breaks in between the books to read shorter stories and give my brain a rest! Thanks for this list Anne. 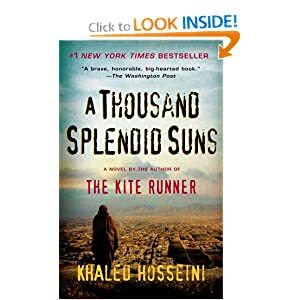 I read and loved A Thousand Splendid Suns and The Glass Castle! I’m currently reading The Kite Runner and loving that as well! Great list! Some of your picks are books I’ve been meaning to read and haven’t gotten around to them yet, so now I’m doubly motivated to get myself to the library! I have been a total bookworm since childhood too. Right now I’m reading “War and Peace” – the Pevear and Volokhonsky translation – and loving it. I’m very much into the Russians but I have never read W&P so it’s about time! The last book I read was “Eat, Pray, Love,” which I resisted reading for the longest time because I thought it would be lame and sappy, but I enjoyed every page and was bummed when I finished it. I’m also into Peter Mayle’s books about Provence because I just visited the region for the first time in September. I loved “A Year In Provence” and “Encore Provence” and for Christmas I asked for “Toujours Provence,” “Provence A-Z” and “French Lessons.” Even for someone who is not as batty for Provence as I am, they are fabulous books and I laughed until I cried at some of the hilarious descriptions of people and events that are unique to Provence. Also on the French theme, I loved “Suite Francaise” by Irene Nemirovsky – amazing book. Love this list Anne – I’m always looking for new books to read. Currently on the 2nd book of the Girl with the Dragon Tattoo series and love it so far. My parents read to us (10 of us) at bedtime. I figured out that was when they could round us all up at one time and get us to bed as a unit. Hahah. I loved Nancy Drew books and Polly French. That was a little before your time. I too, loved the library. We couldn’t afford to buy books so we rented them. Ken Follett is one of my favorite authors. Every now and then I love being scared out of my whits and if Dean Koontz “Whispers”, one of his first, doesn’t do it for you then nothing will. My favorite of course is and always will be “Gone with the Wind”.Frankly Scarlett,…………. A really fun, easy read memior I just recently re-read was “I Loved, I Lost, I Made Spaghetti”, by Giulia Melucci. It’s about her many (failed) attempts at love, and the food she wowed her men with along the way. A fun read and some good recipes too! I’m at UNC now for my masters – but I went to Dickinson College in PA for undergrad :) I actually studied abroad through Butler University though – they have a great program! I was in Brisbane and LOVED it. Must do’s are renting a sailboat in the Whitsunday Islands, going scuba diving on the Great Barrier Reef, going to the outback and seeing Ayres Rock at sunset and sunrise, and so many more. So jealous you are going!! I went to New Zealand for spring break and loved that, too – so amazingly beautiful! Thanks for the info! I’m so excited!! I’ve recently loved The Help and American Wife. Anything Jodi Picoult has written is good as well! I have to agree with Rachel :) I loved The Help… haven’t read American Wife… but that is a good recommendation… and Jodi Piccoult is a great writer. GREAT list all around! 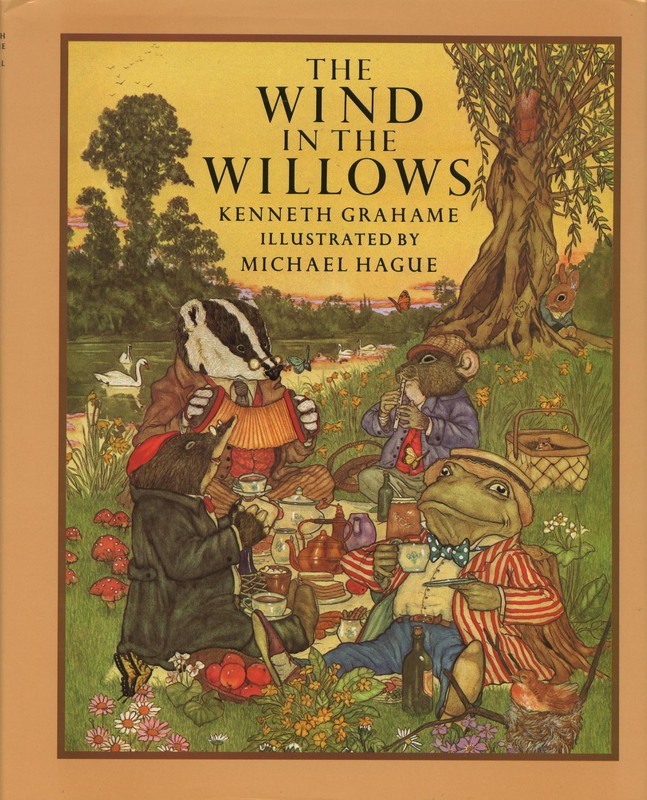 I’m a huge fan of THE TENDER BAR, and WIND IN THE WILLOWS is a classic. I’ve read almost half of what’s on your list and many of the others are on my “to-read” list. Right now i’m re-reading all the books by one of my favourite fantasty authors, Guy Gavriel Kay. that should be “fantasy” not “fantasty”- i would not describe his books as tasty per se… hahaha. Omg “fan-tasty” actually just made me laugh out loud. i recently found your blog and its great! it looks like we like a lot of the same books – i loved so many on your list and found some more to check out, so thank you! 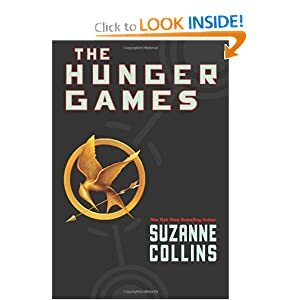 i recently loved “the help” and am currently into “the lonely polygamist.” once i finish the latter, i’m going to re-read “the hunger games.” so so good. What a great list, Anne! I was also completely obsessed with Sweet Valley Twins/High and read every single one as well. I recommend anything Harlan Coben– they’re usually mystery/suspense with some romance thrown in and are quick reads. I have also just started reading Chris Bohjalian’s books– The Double Bind was pretty awesome and I started reading Secrets of Eden before fall semester started and it was due before I finished. I need to pick it up again! And I re-read Harry Potter… more often than I’d like to admit. 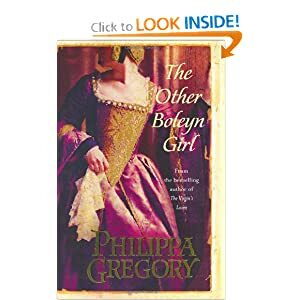 I also love Philippa Gregory’s books! Oddly enough, The Other Boleyn Girl is one of the few I haven’t read– I’ll be fixing that soon. ooooh, i totally hear you. i’m on break right now after my 1st semester of a phd program and am SO thrilled to be reading for leisure again. i’m easing back into it with david sedaris’s new book of short stories then maybe i’ll move on to something more intense. :) enjoy your reading!! The last great book that I read was The Art of Racing in the Rain. I’d highly recommend it. It’s narrated by a dog. I’m reading something right now that I can’t remember the name of. Oops. I LOVED the Ramona books…saw something about a movie coming out sometime soon. Might have to see it. I also have to vote for The Help. Read the whole thing in one day – could not stop reading it but didn’t want it to end. I’d also recommend Still Alice. sad to read because it is so realistic but an amazing book about a 50yr old harvard professor who develops Alzheimers. This is a great list! I’m finishing up the Twilight series right now and before that I read The Girl with the Dragon tattoo series. 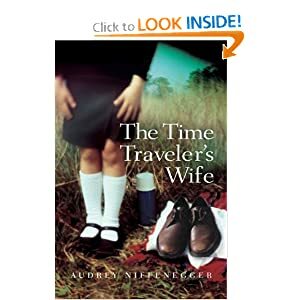 The Time Travelers Wife is one of my all time favorites, I heard the movie wasn’t great though? I’m into series right now, can’t wait to start another one! American Wife by Curtis Siienfeld and The Queen’s Fool by Phillippa Gregory were both amazing. Love all of these too! Just finished Sarah’s Key and couldn’t put it down! I also loved the 19th Wife, Red Tent and Water for Elephants. All of Phillippa Gregory’s books are great. Friday Night Knitting Club, also great. You must read these books too! I’m finally reading Pillars of the Earth right now. Ooo I loved Water for Elephants, too! OMG I am obsessed with the Hunger Games books!! They were the only thing that filled the void for me after I finished reading and re-reading Harry Potter. And the audiobooks are great too if you’re ever looking for something to keep you occupied during runs! Awesome post. Love your selection of books. 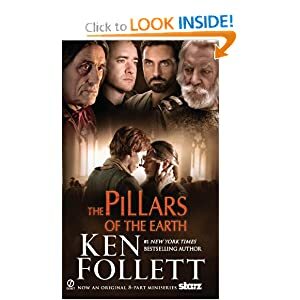 Was Pillars of the Earth that good? you have posted some FABULOUS books! Augusten Burroughs is one of my very favorite authors… incredible stories of his upbringing and life, and he is a great story teller. Yes! LOVE Water for Elephants. I meant to put that on the list, actually! I can’t wait for the movie – hope it does it justice. Some of my favorite books are by Nicholas Sparks. Thanks for the suggestions! A lot of these are on my “to read” list… Maybe I’ll get a chance to get into a few of them over my holiday break! Any of the Sophia Kinsella books are great! She writes The Shopaholic books. All of them are very funny and quick reads. She also writes under the pen name Madeline Wickham. Another great author is Jodi Picoult. All of her books are filled with twists and turns to keep you guessing, but she leaves you clues throughout the book to figure out the plot. My Sister’s Keeper is probably the best book I have ever read. It is nothing like the movie, so I have heard. I won’t watch it because it is so different. Thanks for sharing your favs…I love The Hunger Games series and Twlight Saga also! Anne – I love to read and recently finished Moon over Manifest by Clare Vanderpool, The Forgotten Garden by Kate Morton and Shoot the Moon by Billy Letts. I just got another Kate Morton novel and can’t wait to read it – The House at Riverton. I am currently reading The Imposter Bride with my book club. It was one of the contenders of the coveted Giller Prize in Canada and is great. Also loved Under the Banner of Heaven. 1. Pillars of the Earth and World Without End have GOT to be my favorite books of all time. I could pick them up and start reading at a random page and would still totally know what’s going on. I also have Pillars on audiobook and listened to it during one of my half marathons/while I was training. It was awesome. 2. 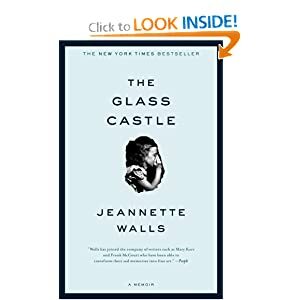 I just read the Glass Castle recently and thought it was so interesting! It definitely makes me want to read more memoirs. 3. Speaking of memoirs, I totally loved Memoirs of a Geisha. Also The Other Boleyn Girl. (I know those two don’t really have anything in common, but I read them both around the same time so I always link them together in my head for some reason.) Both great stories! !